If you're a hard-working person, you probably know by now that ordinary work clothes just don't cut it. Tough jobs need to have workwear and that includes your men's t-shirts. And hey, if they look good that's a bonus. Well, here's your extra credit: this Caterpill ... (see full details) (see specifications) #1510318-11102. If you're a hard-working person, you probably know by now that ordinary work clothes just don't cut it. Tough jobs need to have workwear and that includes your men's t-shirts. And hey, if they look good that's a bonus. Well, here's your extra credit: this Caterpillar Men's ​Black​ ​Diamond​ ​Plate​ ​1510318​ ​11102​ ​Custom​ ​Logo​ ​Long​ ​Sleeve Shirt. Not only is it a tough working, comfortable long sleeve shirt, it looks great and feels great and let everyone know what a hard-working person you are. The black 100% cotton peached jersey material is comfortable, soft, and strong. It weighs in at 4.7 ounces which is enough to keep you warm on a chilly day without adding too much weight. This isn’t just your average work t-shirt. The collar and sleeves cuffs are made with rib trim that uses Spandex for extra strength shape retention. That means that once this becomes your favorite black diamond plate shirt (and we know it will), you don't have to worry about losing the shape of the neck or the sleeves looking weird after many uses. This Caterpillar custom logo shirt is as tough as the equipment that bears the same logo. You're a diligent worker, and you want to stay safe on the job. That's why this long sleeve black shirt also has a wire management loop on the back of the neck. That means you can safely and securely store away the wires for your headset or headphones while you're on the job. No one needs that inconvenience getting in your way. Speaking of inconveniences, the men's workwear is also tagless because that's one irritation you just don't need in your day. 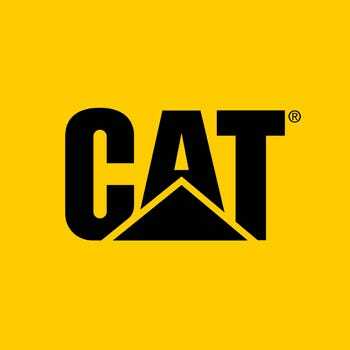 The tough-looking CAT logo with diamond plate design across the chest lets everyone know what kind of worker you are. When you want work clothes that go above and beyond, CAT Apparel is the brand to trust. Wear the logo proudly, letting everyone know what a hard-working person you are with this Caterpillar Men's​ ​Black​ ​Diamond​ ​Plate​ ​1510318​ ​11102​ ​Custom​ ​Logo​ ​Long​ ​Sleeve Shirt from CAT Apparel. It’s cool, it’s comfortable, it works...just like you. Caterpillar Shirts: Men's Black Diamond Plate 1510318 11102 Custom Logo Long Sleeve Shirt is being added to your cart.